With its crisp edges and fashion-forward style, the Moen Voss 24-Inch Bathroom Towel Bar brings a touch of ageless appeal to any bathroom. The 24-inch bar offers ample space for hanging towels, washcloths, and other bathroom items. Sturdy metal mounting posts enhance durability, while the included mounting hardware and template make installation easy. The Voss towel bar is available in a highly reflective chrome finish, a warm brushed nickel finish, and a rich oil-rubbed bronze finish to match your decor. 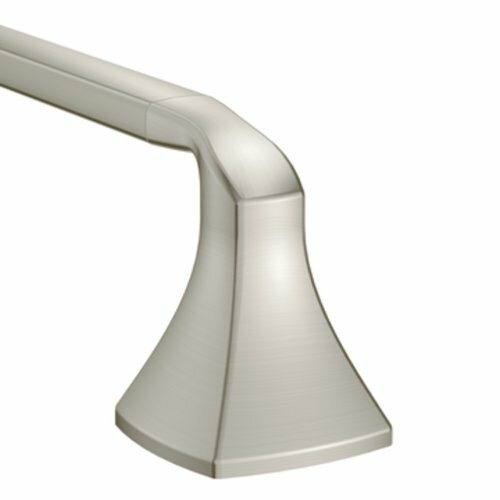 Delta Faucet Contemporary Decorative ADA Grab Bar - 42"